Wash only once the rice and the urad dal,methidana seperately. Soak for 2 hours in hot pack rice seperately and dal,methidana together. Grind Rice slightly coarsely (one step before soft) by adding enough water now and then. Grind Urad dal into smooth paste by sprinkle water frequently so that the urad dal puffs up. 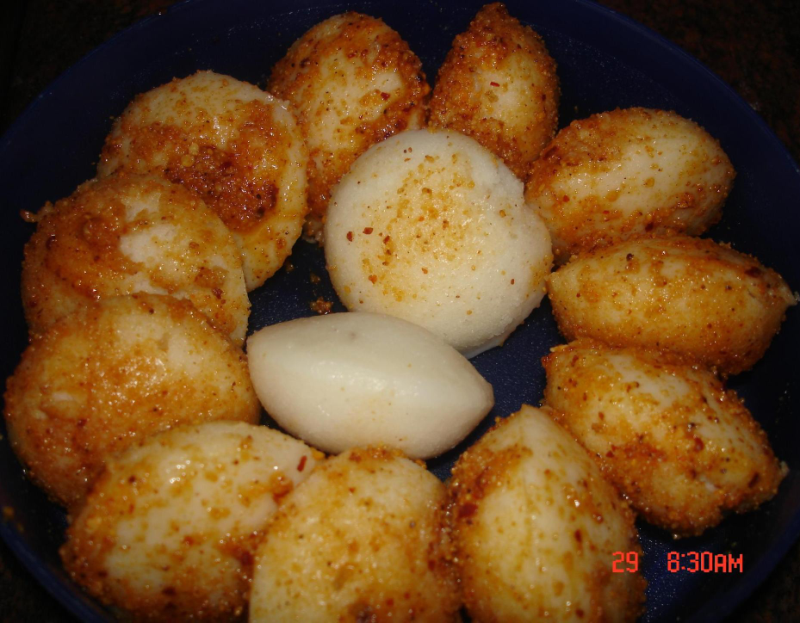 mix them together and add salt and 2 tsp gingely oil.Gingely oil is added as it gives softness to idlis. Keep them in 2 casserole.it will ferment faster.can use any container.it takes 8 hrs for fermenting.after its fermented use the top portion for idli and the bottom portion for dosa.u will get very well. Grease gingely oil in the idli plate and fill 3/4th batter. Steam them for 10 minutes.Take out after 3 minutes. Show back side of the idli plate and wash in water.the idli comes out well without sticking in the plate. Soft and pluffy idli is ready. Take milagaipodi with gingely oil and 2 tsp water.Dip idli in it evenly. Idli will be softer even if you eat after 6 hrs.Ideal while travelling. For dosa:the same batter is used for dosa.If u want Crispy,do not add water.just spread the dosa.if u want soft dosa add water.u don't have to grind smooth the rice.This proportion comes out exactly for idli and dosa.